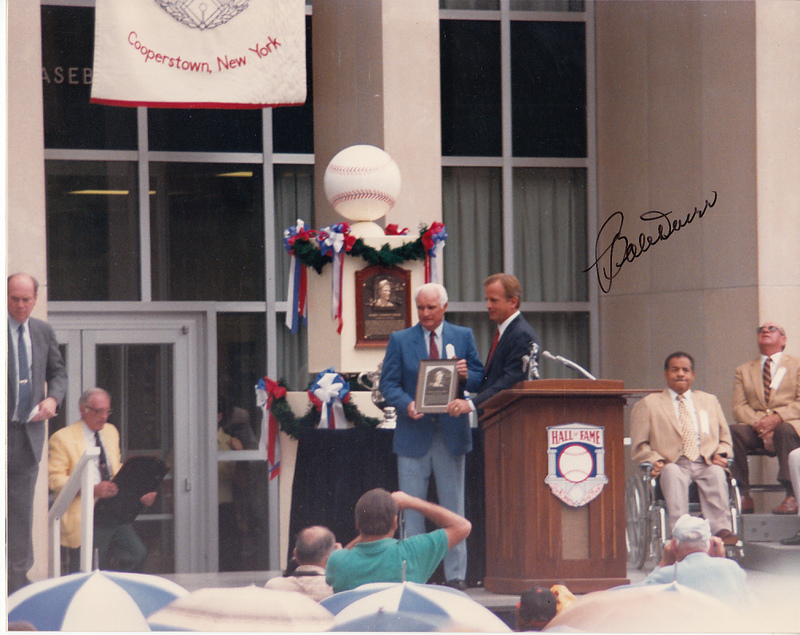 8x10 photo of legendary Boston Red Sox second baseman Bobby Doerr posing with his plaque at his 1986 Baseball Hall of Fame Induction ceremony, autographed in thin black marker. With certificate of authenticity from AutographsForSale.com. ONLY ONE AVAILABLE FOR SALE.